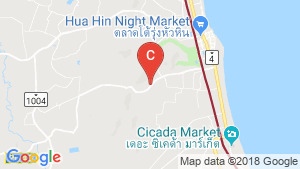 The 88 condo hua hin is a condo project developed by 124 Privacy Condominium, The 88 condo hua hin has 7 floors and contains 251 total units, Units range from 1 bedroom to 3 bedroom. The 88 condo hua hin at Hin Lek Fai, Hua Hin has the following facilities: cctv, garden, parking, security, swimming pool and tennis. 124 Privacy Condominium has also developed projects such as 124 Privacy Condominium, Chatrium Residence Riverside, and Domus Condominium. 1 bed penthouse for sale in Hua Hin City, Hua Hin with Mountain, Pool View | Unit ID: HH028-088 | FazWaz. 1 bed condo for sale in Hua Hin City, Hua Hin with Mountain View | Unit ID: HH-1418 | FazWaz. 3 bed condo for sale in Hua Hin City, Hua Hin with Garden View | Unit ID: HH-1419 | FazWaz. 3 bed penthouse for sale in Hua Hin City, Hua Hin with Mountain, Pool View | Unit ID: HH028-037 | FazWaz. 2 bed condo for sale in Hua Hin City, Hua Hin with Mountain, Pool View | Unit ID: HH028-062 | FazWaz. 2 bed penthouse for sale in Hua Hin City, Hua Hin with Mountain, Pool View | Unit ID: HH028-092 | FazWaz.